On June 12, a 47-year-old woman from Ludlow was taken by ambulance to the hospital after an accident. 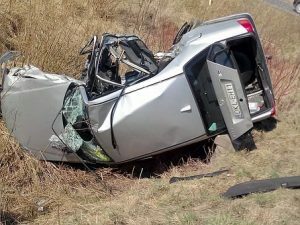 The accident occurred on the Massachusetts Turnpike after the woman’s car drove under the back end of a tractor-trailer and became trapped before crashing. The accident occurred around 6 in the morning and involved a 2012 Chrysler Sedan and a tractor-trailer. Firefighters were called to help with the extraction. Massachusetts State Police responded to the accident and discovered that the woman had sustained serious injuries. Initially, the severity of her injuries necessitated the calling of a helicopter ambulance to transport her to a local hospital, but initial estimates placed the helicopter too far away to be of assistance in this accident. Instead, the woman was transported by ambulance to Baystate Medical Center to receive treatment for her injuries. The name of the injured woman has not been released at this time. Ca accidents that result in injury can happen when we least expect. No one gets in their vehicle and expects to be in a car accident that day, but accidents can happen suddenly. Vehicle accidents that involve multiple vehicles can be especially dire. The results of reckless driving can have impacts that are sometimes catastrophic, and we must all do our best to keep our roads safe for ourselves and for others. We must all work together to keep the roads around us safe. Accidents can happen on any kind of road, and this truth should remind us all that we must remain vigilant when behind the wheel. All drivers must remember to follow all traffic laws and practice constant awareness. Failure to do so could end up causing serious accidents that leave victims with injuries. These injuries can change victim’s lives in harmful ways. When victims are injured, they can seek recovery and compensation so they can begin to heal. Since we are involved members of the community, we are passionate about raising awareness about the impacts of reckless driving. At the Law Offices of Jeffrey S. Glassman, we know how deadly some car accidents can be even when people are driving attentively, so we are also here to help victims and their families who are seeking assistance so they can return to their lives.